The history of this ancient Church during 4th to 15th centuries reveals the fact that it was in friendly relations with the Church in Persia. There is a tradition that a group of 400 immigrants from Persia arrived in Malabar in AD 345 under the leadership of a merchant named Thomas of Cana, known as Knaye Thommen. Mention is made also of another immigration from Persia in the year AD 825 under the leadership of a Persian merchant named Marwan Sabriso with two Bishops named Mar Sapro and Mar Prodh. They landed in Quilon. King Cheraman Perumal gave them land and extended to them special privileges, inscribed on two sets of Copper Plates (in Malayalam “Chepped”). Three of these are still in the Old Seminary in Kottayam and two are at the Mar Thoma Church Head Quarters, Tiruvalla. The Portuguese started settling in India with the coming of Vasco De Gama in AD 1498. They established their power in the 16th & the 17th centuries. This was also a period, which witnessed far-reaching effects of the missionary adventures of the Roman Catholic Church. At this time, the Portuguese were powerful in the eastern areas and had control of the sea routes. The Roman Catholic Church wanted to use this opportunity to bring the Church in Malabar under the supremacy of Rome. A powerful Archbishop Alexio-de-Menezes arrived in Goa in 1592. He then convened a Synod at Udayamperoor, south of Ernakulam, in the year 1599, called the Synod of Diamper for commandeering obedience to the supreme Bishop of Rome. The representatives sent from various congregations were forced to accept the decrees read out by the Archbishop. Thus the Syrian Christians of Malabar, (the Malankara Church) were made part of the Roman Catholic Church under the Pope. The Malankara Church was under Roman Empire for half a century. But many smarted under the Roman Yoke. Gradually the power of the Portuguese empire declined and the Christians yearned for regaining independence. They tried to get a prelate from one of the Eastern Churches to lead the people out of this torpid state of affairs. And when their efforts were proved futile, they declared their independence and shook off the Roman supremacy after 54 years of submission, with the ‘Oath of Coonen Cross’ in AD 1653. That was a historic event, which inscribed a new chapter in the history of the Church in Malabar. What they wanted was to remain loyal to their ancient faith and traditions. 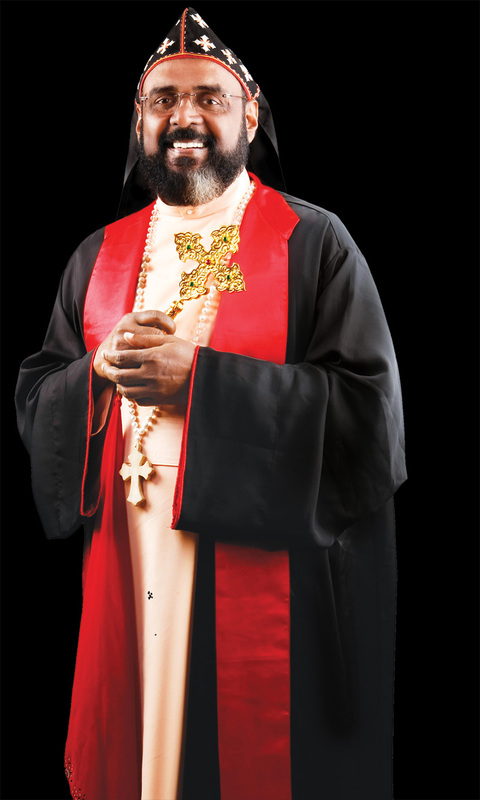 Their dream was finally materialized when their Archdeacon, Thomas by name, was duly consecrated with the title ‘Mar Thoma’ in 1665 by Mar Gregorius of Jerusalem who was associated with the Jacobite Patriarchate of Antioch. 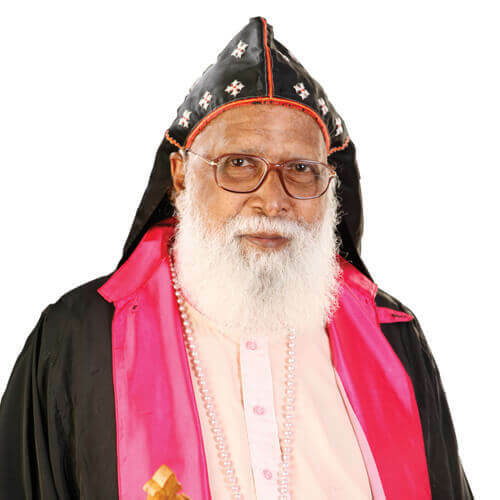 Thus the Episcopal continuity was restored with Mar Thoma I as the first Indian Metropolitan. Thus began the relation of the Syrian Church with the Antiochene Jacobites. 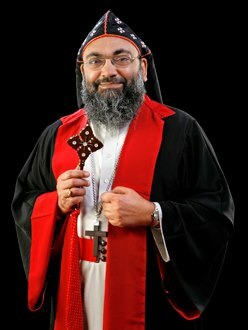 Because of the relationship with the Syrian Church, the Church in Malankara (Malabar) was also known as Syrian Church of Malabar. The throne used for this consecration in 1655 is still in the possession of the Mar Thoma Church and kept in the Poolatheen, the residence of the Malankara Metropolitan at Tiruvalla. It has been used in the installation of every Mar Thoma Metropolitan, to this day, so that the continuity of the throne of Mar Thoma is ensured. Thereafter, Ten Bishops with the title of ‘Mar Thoma’ were consecrated who held ecclesiastical authority over the Malankara Church from 1653 to 1843. Of the ten Bishops, four had assumed the title Mar Dionysius. 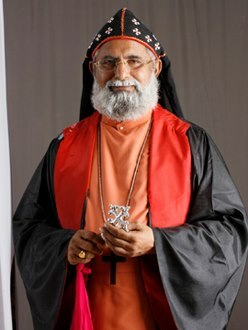 During the time of Mar Thoma VI, who took the title of Dionysius I, Mar Gregorios, a foreign Bishop consecrated a new Bishop with the title Mar Koorilos. Mar Dionysus raised objections and Mar Koorilos had established his seat at Thozhiyoor, near Kunnamkulam on the British Malabar border. This Church continued as an independent church from that time. This Church maintains cordial relations with the Mar Thoma Church, especially for inter-church consecration of Bishops even on date. By this time, Malankara Syrian Christians had developed close relations with the missionaries sent from Church Mission Society in London. But soon seeds of misunderstanding were sown and cracks appeared in their relationship. This gap widened and ultimately resulted in their parting of ways. 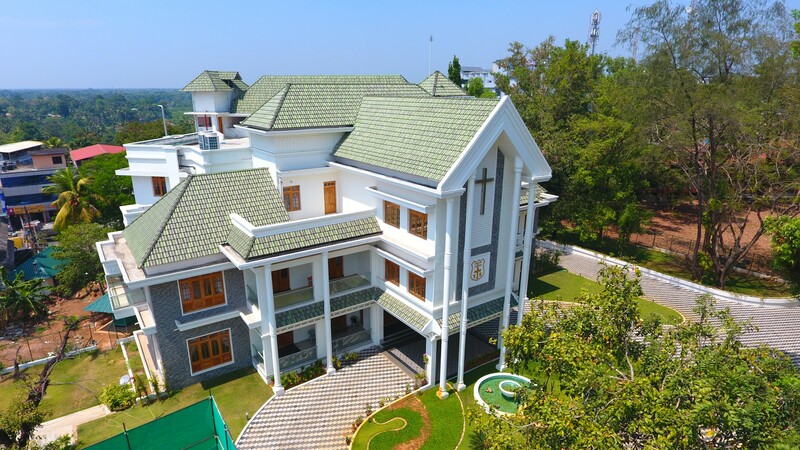 With the converts they gained and with the Syrians who joined them eventually, a branch of the Church of England known as the Diocese of Travancore and Cochin was formed (1879). But that was not the end. There was a nucleus of people in the church who longed for the removal of unscriptural customs and practices which had crept into the church over the centuries. They envisioned a reformation in the Church in the light of the Gospel of our Lord. There were two outstanding leaders in this group, one was Palakunnathu Abraham Malpan of Maramon (1796-1845) and the other, KaithayilGeevargheseMalpan of Puthuppally (1800-1855). Both were teachers in the Syrian Seminary (established in AD 1813 by Pulikottil Mar Dionysius) and had opportunities to come into close personal contact with the missionaries and to share their insights regarding the Christian life and the nature and functioning of the Church as depicted in the New Testament and to imbibe the ideas of the Western Reformation. The group led by these two was very much concerned about the need of a revival in the Church. Saint Thomas Christians believe that Thomas the Apostle arrived in Kerala around AD 52. He landed at Muziris (now known as Pattanam, near Cochin on the Malabar Coast). The Jews and a few of the Wise Men, who had been to Bethlehem to worship Jesus listened to his preaching and became followers of Jesus of Nazareth.. It is believed that after leaving Malankara, St. Thomas proceeded to the East coast of India and died a martyrs’ death at a place called Mylapore in Tamil Nadu. In early Christian community, Nazraani was not a religion, but a sect in the Jewish community. This was used to denote followers of Jesus of Nazareth. (Acts. 24:5; 28:22). Khristianos (or Christians) was initially used largely to refer non-Jewish people who followed Christ. In Kerala, the sect was known as Nazraani Margam. Margam in Malayalam means, ‘The Way’. (Acts 9:2; 19:9, 23; 22:4; 24:22). Thus the word Nazraani clearly shows that many who joined them were Jews. But in Kerala this name was replaced by the word “Christians” in the 20th century. The Malankara Church was quite democratic. It is believed that St. Thomas appointed elders at every place he preached to lead the believers. He prayed and laid his hands upon them, in the same way as the other disciples did. This was the system used till the arrival of Portuguese. By 1500, Malankara Church had Edavaka mooppenmar (Parish elders) and a Jathikku Karthavyian, also known as Malankara mooppen (Church leader). Before the arrival of Portuguese, Latin was unknown to Malankara people. 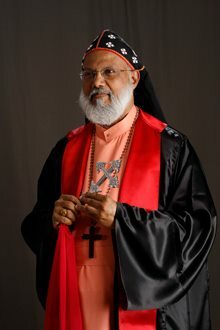 In the ‘’Decrees of The Synod of Udayamperoor’’ presented to the St.Thomas Christians in their mother tongue Malayalam, Malankara Mooppen was the name used to refer the Church leader, except on three occasions. For the first time in 1653 Malankara mooppen was given the title Mar Thoma. 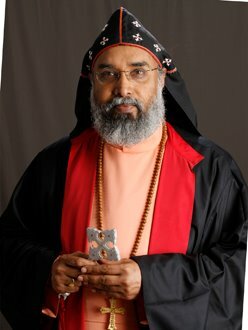 The present head of the Mar Thoma Church is the twenty first Mar Thoma. In the 2nd century AD, Pantaenus the Philosopher visited India and found that there were many evangelists in India. They had a copy of the Gospel according to Matthew in Hebrew.. These evangelists were the early Christians of Malankara Church. During the time of King Shapur II (310-379) of Persia, a group of 400 immigrants (72 families) from Persia arrived in Malabar under the leadership of merchant Knai Thomman. They were engaged in trade and settled down in Kodungallur.Another immigration from Persia occurred around 825 under the leadership of Persian merchant Marwan Sabriso, with two Bishops, Mar Sapro and Mar Prodh. Together they were known as Knanaya (Kanahi people. They continued to remain an endogamous group within the Nasrani community. They cooperated with the Malankara Church, attended worship services together but remained a separate identity. By the 10th century, in Malabar there were two Nazrani groups, the St. Thomas Christians and Knanaya community. Following the arrival of Christians from Persia, their bishops, priests or laymen began visiting them. Most of them were not able to return due to financial difficulties and traveling the long distance.The Knanaya people were worshipping together with the St. Thomas Christians. So these visiting bishops also attended these services. These visitors had neither administrative responsibilities nor had any jurisdiction over the original Nazrani Christians. They visited and taught Syriac. Probably it was at this time, Syriac became the liturgical language of the early Christians. This might be the reason for the rumour that bishops from Syria had jurisdiction over St. Thomas Christians. Probably it was during this time the Church began to use the St. James liturgy for their Holy Communion service. Persian crosses were in churches once attended by Knanaya Nasranis. Out of five Persian crosses two are in Kottayam Knanaya Valia Palli. According to the archeologists, the earliest one was made in the 7th century. The cross became a symbol of Christianity in the west, during the time of Constantine (272-337). Saint Thomas Christians of Malabar had hardly any contact with other Christians before the arrival of Knanaya people from Persia. Moreover two of the oldest church buildings that still exist in South India do not have any marking of a Cross on their original structure. So most probably it was during the 7th century, cross became a symbol of St.Thomas Christians. 883 AD. – Alfred the Great (849-899), King of Wessex, England reportedly sent gifts “in India to St. Thomas and to St. Bartholomew”, through Sighelm, bishop of Sherborne. 1225 AD. – Chau Ju-Kua a Chinese traveller visited Kerala. In his writings he described the dress of a St. Thomas Christian bishop. 1282 AD. – Kublai Khan (1215–1294) Emperor of China sent an emissary to Kollam, It was followed by an emissary from Kollam under the leadership of a St. Thomas Christian. 1292 AD. – Marco Polo (1254–1324) on his return journey from China visited Kerala, mentions that, "The people are idolaters, though there are some Christians and Jews among them". The rulers of Kerala, in appreciation of their assistance, had given to the Malankara Nazranis, three deeds on copper plates. Five sheets of them are now in the custody of St. Thomas Christians. Iravi Corttan Deed: In the year 774 AD. Sri Vira Raghava Chakravarti, gave a deed to Iravi Corttan of Mahadevarpattanam. Tharissa palli Deed I: Perumal Sthanu Ravi Gupta (844-885) gave a deed in 849 AD, to Isodatta Virai for Tharissa Palli (church) at Curakkeni Kollam. According to historians, this is the first deed in Kerala that gives the exact date. Tharissa palli Deed II: As Continuation of the above deed was given after 849 AD. By 1500, Malankara Church was spread from Kannur in the North to Kollam in the South. It included the Saint Thomas Christians and the endogamous group, Knanaya Christians. The Portuguese started settling in India with the arrival of Vasco Da Gama in 1498. From that time the Portuguese were powerful in the western parts of India and they took control over the sea routes. The Malankara Church had hardly any contact with the Christians of Europe. Many of them did not even know that there was a Pope in Rome. But the Portuguese used their power to bring the Malankara Church under the supremacy of Rome. A powerful Archbishop Aleixo de Menezes arrived in Goa in 1595. He then convened a Synod at Udayamperoor, south of Ernakulam, from 20–26 June 1599. This is known as the Synod of Diamper. Here the Archbishop demanded obedience to the supreme Bishop of Rome. The representatives sent from various parishes in and around Cochin were forced to accept the decrees read out by the Archbishop. Thus those parishes of the Malankara Church were made part of the Catholic Church under Pope of Rome. But the remaining churches continued their original Apostolic beliefs and practices. For the reformation that happened in the Malankara Church during the 19th century, the Malayalam word used was “Sucheekarana Prasthanam” which means Purification Movement. In this context the word Reformation is used which has a slightly different meaning. 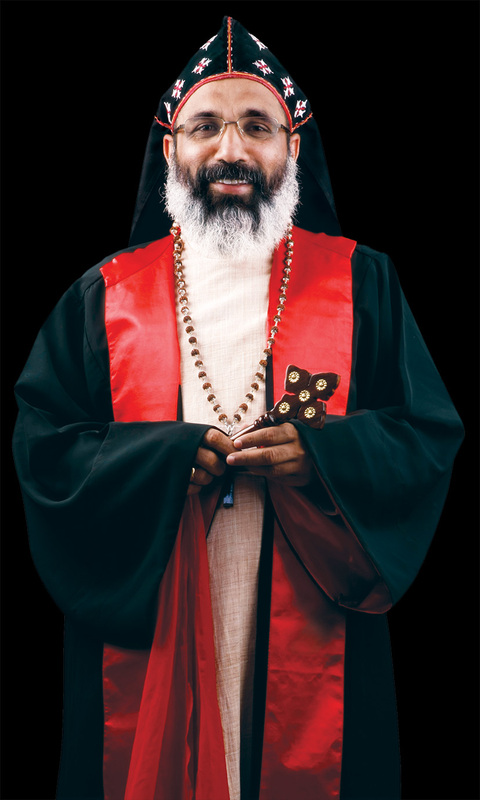 Maramon Palakunnathu Abraham Malpan was a churchman loyal to the traditions of the Malankara Church. He wanted to reform the Church consistent with the apostolic and evangelical tradition. He tried to accomplish this by translating and revising the liturgy; by doing away with what he believed to be unscriptural practices; and by restoring the Church to what he considered to be its position before the Synod of Diamper. He also insisted on a high moral standard of conduct for laity and clergy alike. 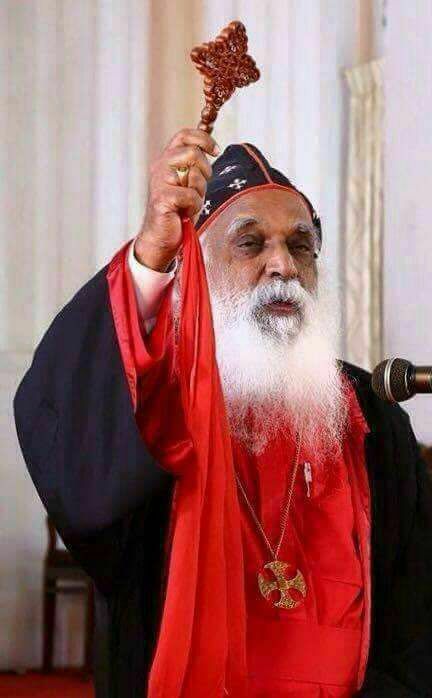 All this created a ferment in the Malankara Church and its effects are still discernible in the Church as a whole”. On September 5, 1856, the reformation was planned. Strategy was determined by a group of 12 senior clergy under the leadership of Abraham Malpan. They issued a letter describing what they believed were the wrong teachings and a statement listing twenty-four practices of the Church which they believed were "evil" and had crept in by its association with other Churches and religions.The principal reforms were: Gave first preference to the Open Bible. Worship services including Holy Communion were conducted in the mother tongue, Malayalam. Holy communion was not celebrated when there were none to receive. Mandated that Communion under both kinds should be distributed separately, during Holy Communion Prayers to the saints and prayers for the dead were discarded. Auricular confession was discontinued. Icons, pictures, statues, and drawings of saints were removed from homes, churches, and places of worship. Changes were made in the liturgical books accordingly. Abraham Malpan on Sunday, August 27, 1837 conducted the Holy Communion service in Malayalam at his home parish at Maramon. Clergy, who supported him also did the same thing in various other parishes on the same day. Every year on the first week of October, there was a church festival at Maramon, connected with a saint who died in 1685 at Kothamangalam. During that time a wooden image of that saint (they called it ‘Muthappen’) was taken around in procession and people used to venerate that saint by offering prayers and ask for intercession. In 1837, Abraham Malpan took the image and threw it into a well saying, “Why consult the dead on behalf of the living?” (Isaiah 8:19). So when the festival came there was no image to be taken out for procession. The use of the revised liturgy and the changes he brought about in practices offended Marthoma XII. So deacons trained under Abraham Malpan were refused priesthood. But Abraham Malpan was not disheartened. He continued with the reforms. He returned to Maramon. Many of his students joined him to continue their studies. All those who believed that the Church need to revitalize also joined him. Members of parishes in Kozhencherry, Kumbanad, Eraviperoor, Thumpamon, Elanthoor, Kundara, Kottarakara, Mavelikkara, Mallapally, and many other places made trips to Maramon to attend the service in Malayalam and listen to his sermons. Doors were also opened for reformation in other places by clergy who supported him. At this stage he had three choices in front of him. Repent and go back to the old beliefs under Antioch; join the Anglican Church with western beliefs; or go forward with the reformation restoring the Church to what he thought was its pristine position. He selected the third one. Abraham Malpan died in 1845. Mathen, a nephew of Abraham Malpan also followed his uncle’s steps. He went to Antioch and returned consecrated by the Patriarch of Antioch with the title Mathews Mar Athanasius Metropolitan. After Cheppattu Philipose Mar Dionysius abdicated due to ill health, to collect the interest of the Vattipanam (Fixed Deposit), Mar Athanasius was approved as Malankara Metropolitan by the governments of Kerala and Cochin on August 30, 1852. Mar Athanasius published the liturgy without the prayer to St. Mary. 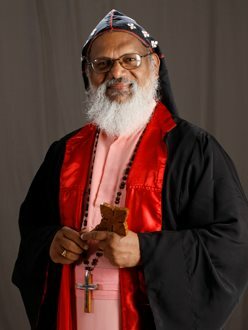 He consecrated Ouseph Mar Koorilos, Metropolitan (bishop) for Malabar Independent Church These actions angered many clergy and Pulikkottil Ouseph Kathanar went to Antioch in 1864. He returned as Joseph Mar Dionysius in 1865. During the time of Thomas Mar Athanasius Metropolitan, Joseph Mar Dionysius demanded the possession of the seminary and the control of assets of the Church. Mar Dionysius and his supporters filed a case on March 4, 1879. (Case O.S.No. 439 of 1054). 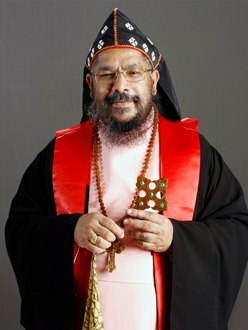 During the course of a litigation (1879–1889), answering a question Thomas Mar Athanasius Metropolitan said, “ The Episcopal throne of Patriarch is the throne of St. Peter, while the throne of Malankara Church is that of St. Thomas. 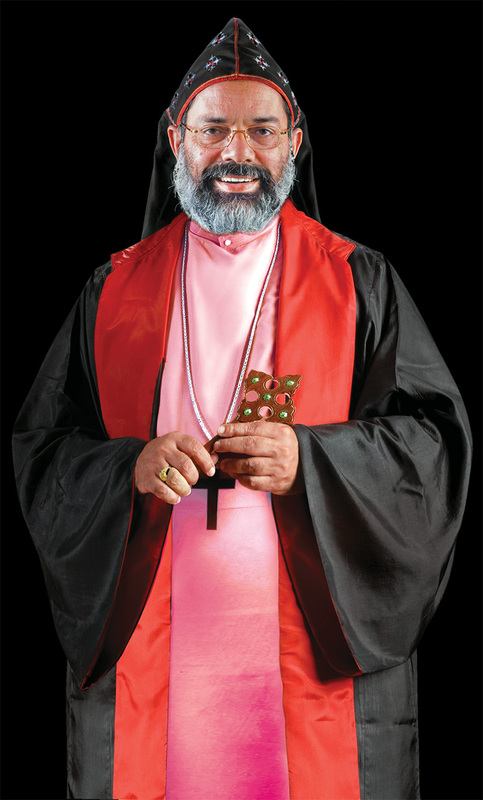 Malankara Church is as old as the Church in Antioch, equal in status, and both are independent.” During a meeting convened by the Maharaja of Travancore, before the final verdit was given, Mar Athanasius testified that, Malankara Church was never under any foreign rule and that he was unwilling to move away from the teachings or give the authority and Church possessions to a foreign Patriarch.